Laptop Lock: Between assignments, class notes, and group projects, a laptop is the lifeblood of most college students. Consequently, having your laptop stolen is a college student’s worst nightmare. To help prevent potential theft and save yourself from a moment of panic, consider purchasing a laptop lock. This way, you won’t have to worry about leaving your computer unattended for a few minutes while you use the restroom or grab a snack from the vending machine. Our recommendation would be the Kensington cable combination lock, which features a keyless, 4-digit combination design and cut resistant cable. External Hard Drive/Cloud Storage: While computer crashes are uncommon, they always seem to happen at the worst possible time, like just before a major exam or project is due. Having an external hard drive or cloud storage is a great way to back up your essays, projects, and other important information so you won’t have to stress about trying to recover your files in the event of a crash. USB Flash Drive: It’s always important to carry a USB flash drive in your backpack. Not only is it small and lightweight, it also allows me to seamlessly transition between working on a project at the library, in a computer lab, or on my laptop. The best part is that you can find a reliable USB flash drive with 64GB of storage (which is plenty of space for the average user) for around $20. Printer: Even though most college campuses have printers in the library or other campus buildings, they may not always be convenient to access—especially on larger campuses. Not to mention, the cost to print can add up quickly. For less than a hundred dollars, you can buy a reliable printer for your dorm room or apartment that can save you precious time and money. While you can technically make it through college without your own printer, it might be worth the investment if you don’t want to be running to the library at 3 a.m. to print off a report. For tips about how to select the best printer for your needs, click here. Power strips (with surge protector): While a power strip may not be the most exciting item on this list, it’s definitely one of the most important. There will likely be a shortage of power outlets in your dorm, especially if the building is older. On move-in day, come prepared with a good power strip—one with a surge protector so you don’t fry your electronic devices or risk starting a fire. They come in a number of different styles, shapes, and sizes, so there’s bound to be something that fits your needs. Wi-Fi Router: Most colleges have Wi-Fi Internet access in the dorms and around campus, but the connection isn’t always great. It’s a good idea to invest in your own router so you can have access to fast, reliable internet when you need it most—especially if you plan to do a lot of studying in your dorm room. Portable Phone Charger: With being on the go it’s not always feasible to find an outlet to charge your phone. There are a number of portable charger options on the market to help you keep your phone charged. 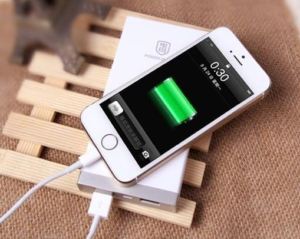 Portable phone chargers vary widely in price depending on the device’s size, output, and charging time. If you’re just looking for something to use for emergencies, then a small portable charger will work. However, if you spend a lot of time on your phone and plan to rely on your portable charger often, a larger device with more power might be a better fit. What are your favorite tech gadget suggestions for college students? Tell us in the comments.